I inundated Matt with questions (and disapproval) about hankies for a long time. “What about a REALLY runny nose?” “What happens when it gets all filled up?” “Do you stick it back in your pocket all wet?” It didn’t matter what his answers were… I was totally grossed out. Then one day I had the mother of all colds. Matt brought a handkerchief to my bedside and I finally had to admit to him… it wasn’t that bad! However, I did NOT let people know about my hanky use right away – I was a closeted hanky user for a while. I have found that switching over to hankies, and completely ditching disposable facial tissue, is really just a matter of mentally overcoming the “ewww” factor. Now that I’m over it, I can clearly see the benefits of handkerchiefs over regular tissues. It saves money. I used to love coordinating all the cute tissue boxes with my bathrooms (wow, that’s marketing at its finest), but I estimate we probably spent $20-$40 per year just on facial tissue. Not a huge savings, but I can certainly think of other things I could use that money for. We have not purchased a box of tissue in almost a year, and the tissues we purchased before that were to keep available for guests. It produces less waste/saves resources. I have been so thankful for handkerchiefs as we strive to go paperless in our house. They take up very little space in the laundry and prevent our trash from filling up so quickly. Keep a stack of hankies in an easily accessible drawer in the house so family members aren’t tempted to use the paper alternative. Hankies create less of a mess. Hankies don’t leave any particles behind, and never rip as I’m using them. The white fuzz left on Matt’s face after using facial tissues is a thing of the past. (I kind of miss being able to laugh at this.) Hankies won’t create trouble in a load of laundry if accidentally left in a pocket–and we’ve all had this laundry mis-hap with tissues. Picking a gazillion of those little white tissue remnants off clothes coming out of the washer? Ugh! Never again! In fact, you’ll just end up with a clean hanky if one is left in a pocket. Hankies are more sustainable. Handkerchiefs are a much more sustainable replacement for facial tissues AND many other things. Think about replacing other things in your home with hankies…paper napkins, paper towel, toilet paper, tissue paper, or other things around the house that might currently be disposable. We no longer have to worry about running out of tissues. In the past, when the last tissue had been used, we would grab for toilet paper and frantically run to add tissues to the grocery list. With hankies, you can grab a fresh one whenever your current one is getting icky, and you can forget about a trip to the store. Although hankies have changed things for the better in my house, I’m not suggesting you have to become a full-on handkerchief-wielding fanatic all at once. Test it out at home to see if you like it… take baby steps into the world of handkerchiefs. Make your own hankies with scrap material or dig out an old bandana to use. Check Etsy, Amazon, or your local dollar store if you want to buy a package of cheap hankies. You might just find yourself hooked! Hi Betsy nice article encouraging women to toss the tissues and add handkerchiefs. Do you use strictly plain white cotton/silk hankys cause they are the best for your nose? Thanks Dave! I actually use the hankies pictured in the article. They’re all cotton…soft on my nose and they wash very well. I love hankies! I have a friend who is an expert at garage sales and she picks most of her hankies up there and she shares them with me. I’ve purchased new ones from organic unbleached cotton, sewed some and another friend sewed some for our hiking trips. I’ve crocheted borders on hankies and shared for birthdays and when someone is crying. They are helpful for snuff-users too, as my son will attest too as he uses the batch we sewed together. I keep extras in the car, in my purse, at the office, in my coat pockets, by my bed, in the bathroom and throughout the house. I use empty kleenex boxes, ceramic covers for kleenex boxes and new cardboard boxes for the hankies and fold them so they are connected to next one to come out, so they have a familiar place within my home. After learning about the bacteria in our noses and that they double every 20 min at room temp, I now get a fresh one after every use. I carry a small plastic bag with me when I am out to put them in. I have lovely reminders of my friendships when I use them too. It feels good that I am not using trees to discard bodily fluids. Shelley–Love that you keep your handkerchieves in so many places so you’ll always have one.I keep several in my go-bag and jacket, and a half dozen each,mixed mens’ and ladies’ in the kitchen,bathroom and living room-really convenient that way.Using it once is a little severe really.If you blow your nose reasonably often,there really isn’t time for bacteria to attain appreciable numbers and many are not pathogens anyway.You should enjoy using each one more! Another nifty idea is to use the same side each time once it’s been opened and used.It’s easier to find a clean spot and even well-used handkerchieves appear unused from the other(clean)side if anyone is looking-a good point of etiquette.This is true even for white or pastels unless the fabric is on the sheer side.Womens’ floral print handkerchieves are a plus because they can appear unused even after a lot of use,and they’re pretty to look at. Im a guy over 30 and I’ve been using handkerchiefs for over 15 years and there is no turning back for me. I have allergies that cause a constant runny nose. I only use 100% white cotten cause the blends are not as absorbant and dont feel as soft. There cheap and have one for every day of the month, so im not worried of using one and tossing if needed when in a pinch in public washrooms if you know what I mean. I fold mine in half then make 3 more folds like in a fan pattert or a paper airplane with out the point so that I end up with two blowing flods one side and one on the other. that way i dont have a wet ball of snotty cotton and I know which side is clean for blowing and what not. I just ordered some hanky books. I can’t wait to give them a try! I already use cloth pads for light days and tampon backup and love them. I use small Monday through Sunday towels in the kitchen and cloth napkins. It so gratifying when you’re not wasteful. Yes. They look so neat. In two ways, hehe. A quick google search will pull them up. The 3 pack was only 20 dollars with shipping and I think each has 8 “pages” if I remember correctly. As you are already on cloth pads, have you considered switching from tampons to a menstrual cup? They are so much safer, not painful, not smelly like tampons, and super cheap in the long run. I got a DivaCup a few years back, and it is still going strong. Be sure to shop around for a good price, whichever brand you pick. Wikipedia has some decent info on the concept. The only issue is that there is a learning curve (maybe one or two periods) to get them in properly. Also, since starting on it, my cramps have decreased significantly. Woot! Hey L! I have a DivaCup also. I bought it about two years ago and discovered my body doesn’t work well with it. I have tried it a couple more times over the years but I don’t feel comfortable with the fit. Glad it works for you! I will continue to try it periodically. I think for pee it would be perfectly sanitary, I don’t think I could ever use it for poo though. I am considering switching to reusable menstrual pads, I’m currently pregnant so I think I will see how I like the postpartum ones. OK, well my previous entry doesn’t appear to be datestamped but it was aaaaages ago and I still haven’t caught a cold so I reckon hankies for me are at least as good as tissues (and yes, I was one of those people who hung onto it until I couldn’t use it any more!). Now I’m seriously thinking about the ‘family cloth’ step. My reasoning is this – if I’m having a wee I just use toilet paper. Wee is sterile so I reckon it should be OK to use a cloth. I can just put the cloths in the wet wipes container, and have a nappy bucket to drop them into, then they can go in the next wash.
Now I want these cloths to be very distinctive and different from my hankies (I’m not sure there’d be any cross contamination issues, but we have the ‘ewww’ factor to consider). So I was thinking about what I could use as my reusable wet-wipes, and when I was on Amazon tonight I saw some adverts for reusable baby wipes, so next payday I’ll be getting some of them. But then that made me think, well if we use terry nappies for babies why can’t we use something similar for adults? The hygiene issue is surely the same. And I used to use reusable sanitary pads when I still had the need (I’d better explain – I ~am~ female – ‘Norm’ is a nickname) and I managed to keep them sanitary. So when I get my reusable wet wipes I’m going to at least trial them for wees, and if that’s successful I’ll see if I can bring myself to take the next step! My father uses hankies and I have never really thought about it as being gross. I personally don’t use tissue very often, I get sick once every three to five years but I now have children who catch the normal colds going around every year. I might put a little “kid” hankie collection together for each of them. My dad will get a kick out of seeing them with their hankies I’m sure 🙂 Thanks for reminding everyone about this. Spraying with alcohol is not effective. The only way to ‘kill’ germs is to launder in hot water and soap after every use- Chlorine bleach also works but is toxic if inhaled and damaging to the environment and patterns. Maybe if they were boiled for several hours and then autoclaved for several more? We’re not dealing with bubonic plague,you know! If it were just Bubonic Plague, I wouldn’t worry about this idea. That germ is easy to kill and the Plague is easily treated. What IS worrisome is Swine and bird flu- hardy viruses, easily passed on ‘hankies; AND hands, and there is no effective treatment especially for children and the elderly. I strongly believe in reuse but to advocate for reusing anything contaminated with respiratory body fluids is asking for trouble. We can go back to earlier halcyon days (which are a myth, of course) and if we do, we can also see that the major cause of morbidity and mortality will be communicable diseases, just as it was pre 1950. So let’s use some common sense here as well as sense about infectious disease and contagion…. Allowing kids to get dirty while playing.? GOOD IDEA. Avoid Antibiotic soap and OCD with chemical cleaners? Best IDEA YET! But using cloth hankies more than once before washing? FOOLISH. Many,and I underline many,people use tissues more than once and yes,they then put them back in pocket or purse and,and oh,yes- “walk- around-with-it-ewww-gross!”.If someone uses a tissue on a train,in a restaurant,in a movie theater seat and on and on,they don’t conveniently discard it on the floor–back it goes with all the other old ones and there it sits until memory kicks in and they remember to throw them away a week later.The act of using a tissue is somehow seen by it’s advocates as some socially beneficial big favor to humanity.Have you given any thought to how many germs waft up from open or partially open refuse containers from the soggy tissues people toss in(after the requisite third or fourth use),or how many times saintly tissue users have brushed their wet fingers on items everyone touches-door handles,overhead subway straps,the disc you’re holding in the video store now.Any experienced handkerchief user has DRY fingers,yet another selling point. Great points Gerry. We’re not sharing hankies with anyone else, and hands normally get washed after blowing, so I don’t have a problem using them more than once before washing. This is just not true Deb. It’s not foolish to use cloth hankies. It really has reached new heights of craziness,especially with an item like hand sanitizers etc..We’re going to breed strains of all the bugs we think we’re exterminating,that will just be stronger and more resistant-that is the nature of the process. I strongly agree.I even have a habit of putting used tissue in my pocket when there is no wastebasket.I hate the thought of littering because I don’t want to think of infecting someone else and having it come back to me as something else.Notice we seem to be getting sicker more often than we used to?I even seen people reuse paper tissue.I think it comes down to people misusing tissue regardless of what they use.You should dispose of it in a container with a lid or small paper bag.Wash hands after. I switched to hankies after a certain brand of tissue makers produced a commercial that encouraged more paper waste. Really?? A personal paper towel thing in the bathroom? What I do with my wet hankies is fold them up and put them in a plastic bag in my purse. When I need more clean ones, I put them in a lingerie bag and throw them in the wash. That way, they don’t get mixed up with all my other clothes and I’m less likely to lose them. Many newer washing machines have a sanitation option, which was great when I lived with someone who had it. I would just throw my bag of hankies in with their stuff that needed sanitizing. Voila! Fresh hankies, germ free! Those personal paper towel dispensers for home bathrooms make me crazy! We laugh at those every time the commercials air! It never occurred to me that people might think that using hankies was ‘gross’ but like the nurses who’ve posted here I was under the impression it was very unhygienic. I had to be persuaded to go towards paper hankies – now I’m going to trial cloth hankies and see if we’re any worse off. I do wash or sanitise my hands after using a tissue anyway. I’ve also got into the habit of coughing into my elbow instead of my hands in an effort to reduce germ spreading. But nobody has mentioned the part of the article that REALLY made my eyes pop, ‘Think about replacing other things in your home with hankies…paper napkins, paper towel, toilet paper, tissue paper, or other things around the house that might currently be disposable. ‘ Toilet paper? Really?!!! You use hankies for that? Well I’m using proper hankies again for my nose now, Betsy, and can report that there has been no increase in colds, cold sores or the like in our household. I do like not finding bits of tissue in my laundry! I imagine the family cloth would feel nicer to use than toilet paper, but I wouldn’t have the discipline to keep up with the laundry required to keep my home smelling sweet! I am definitely against family cloth! Not only is it super GROSS, I don’t think it’s sanitary. Here is my reasoning. In the olden days people used cloth diapres, and washed them no big deal right? People also used hankies rather than throw-away tissues. So when we use cloth diapers and hankies, we are essentially going back to a time where we had less waste and used healthier, more natural options. But throughout history, people have NEVER used reusable toilet tissue. They always used leaves, or in later days magazine pages or just washed after using the bathroom. I’m sure you could get them sanitized, if you really wanted to but I think it would take a lot of work for that to be safe. Besides, I touch/look at/smell poop when I poop, I don’t want to do it all again when I do the laundry! You must be throwing away underwear.Again there is the pile at the dump-not pretty.Back in the day when cloth diapers was in use you had to swish the cloth in clean water in the toilet and flush until the diaper was clean as you can get it.Then it was rung out and kept in a covered container(diaper pail) in a pre-soak until they were washed. Then dried in the sun or dryer.Both kills germs.For any germs in water-we all use the toilet not to mention run off from farms.Are you a pet owner? I am sure you changed a litter box or cleaned up a pet accident.You can always clean a washer with a little bleach in some hot water.Now-this Sunday paper has a coupon for paper hand towels because they are cleaner and healthier than what-a clean towel? It sounds like to me that a company is trying to make more money to pay for their stock holders who expect a ten percent increase in stocks each year. I’m very much looking forward to trying hankies! My allergies are really hyped up this season after such a warm winter. After using so many tissues, my nose gets very raw & chapped. I don’t like the feel of the lotion tissues so I’ve just been putting Chapstick or something similar on my nose all the time, after blowing. Then, as a hotel desk clerk, I’d feel self conscious because I’d have a raw nose that’s red AND shiny. Not a good look if your name isn’t Rudolph. My son has outgrown last summer’s tshirts so I’m sure I’ll be re-purposing those very soon. Thanks for an excellent site. I’ve always used hankies. I still have some from when I was little. They’re smaller than a ladies hanky. I also inherited my grandma’s and use them all the time. Never occured to me that some people might think it’s gross. I save the prettiest ones for weddings and funerals. My husband also uses hankies but he prefers a bandana. For some reason. I switched to cloth napkins in our house a while ago. It was a slow switch but I finally got my hubby and daughter on board. I still buy rolls of the cheapest paper towels for quick cleanup of spills or on the go snacks. Now I am going to give handkerchiefs a shot. I know some guys at work that use them too. I’m tired of the raw nose so that is a bonus too. Glad you’re giving it a try Toni! I hope you’ll love hankies as much as we do! One of my Indian friends was over when he had a runny nose and what he would do is go to the bathroom, blow his nose into his hands, and wash them. Not sure if it’s because of his culture or just himself. But it uses even less resouces! Ha. Of course it’d be a nuisance to go to the bathroom all the time, and you definitely couldn’t do it in publc. Love keeping a hankie in my makeup bag … it comes in handy for watery eyes due to allergies or while enjoying time outdoors when it’s hot. The tissue fuzz (that lined the inside of every purse & my nose whenever I unfolded a tissue) was irritating in every sense of the word. Then, I had a combination “duh!” / “aha!” moment as I held an inherited hankie. LOVE that! I do keep a box of tissues in the linen closet for if one of us is very my-nose-is-a-faucet sick. I love hankies. Can’t leave home without one. Keep spares in my handbag. Even my 15 yo daughter uses a hanky everyday. People are so over obsessed with germs these days, they need to realise germs are everywhere, we can’t avoid them. Give your hankies a spray with eucalyptus. It smells divine and disinfects the germs as well. Keep up the great work Betsy and Matt. 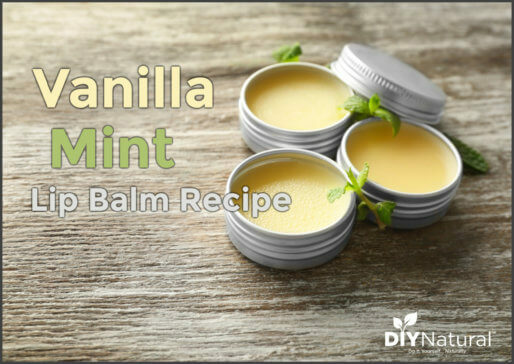 Awesome idea…I’ll have to try spritzing with eucalyptus! Nice job with the vintage looking hankies. Cute. I fondly remember my dad using hankies and, in fact, I learned how to iron on his newly cleaned hankies. His were the monogram kind. My dad, an executive in NYC, was a bit of a neat freak so I think my mom was glad to have me do this one chore. Hey, this is so awesome. I had been thinking of using hankies for a while and then my mom gave me a bunch of vintage hankies too. We have been using them for the past few months and it has been so great. My kids love them too. I had no idea anyone who wasn’t in my grandfather’s (also a hankie user) generation used them. Great to know there are more of you out there! Awesome Sarah, welcome to the modern hankie movement! Congrats on the baby to you and Josh, that’s so awesome! I have to say, there are some good reasons to have a hanky on hand, such as catching a sneeze, but using it for a cold is one that I will not do unless I am broke and lost out in the woods;)) I am a nurse and I am very big on germ control. I do not recommend harboring any germs in any article for reuse. You want to get it out of the body and disposed of asap. It may be more comfortable, and that may be enough for some. I will opt for lotion puffs. We do try to reuse many items and strive to be less wasteful, but somethings I do not compromise on. Sanitation and health is one of them. I do not use hot water for my laundry and hankies require hot water for sanitizing. This opinion, doesn’t match our experience. It’s accurate to say that marketing has created overconcern for “germs.” Sort of a national mysophobia. I have to wash everything in hot water due to dust mite allergy and I feel better about washing bedding and underwear in hot water.I could buy very expensive chemicals to kill dust mites.I feel the use of hot water is the better way to go .Now I am thinking about all that tissue floating in the air as paper breaks down easy.Not to mention the picture in my head of a dump pile full of open bags of used tissue and dirty diapers.It would be my luck to be driving by it.All that bacteria and virus from shots babies gets in those diapers.Not to mention the used tissue in open public wastebaskets. I talked to my hubby last night about it and he’s not opposed to giving it a try. Plus we’re going to attempt to give up the paper towels. Also, made the attempt last night to purchase items for making my own laundry soap at Target. Was only able to get the Borax. I’ll have to try Wal-Mart for the other items. But I’m excited to try this and then dishwasher soap. Thanks for all the great tips. I use hankies most of the time. I have seasnoal allergies and often need to blow my nose. I find using hankies instead of tissues causes my nose to run less as the fuzz from the tissues just aggrevates my allergy all the more. Great point about the fuzz from tissues Donna. There is evidence of the “fuzz” all around the opening of a box of tissues. Thanks for this affirmation! I have been using hankies for i don’t know how long — despite comments (positive and negative, mostly negative) on the use of hankies. I fully agree with all your reasons stated. and i’d be very happy to forward this article to friends, with the hope of encouraging more converts to go natural and save those trees as well. I’m glad you’re not swayed by other’s opinions on the topic Lety! Do tell others about the benefits of hankies! I love hankies. I feel sometimes like I was born in the wrong century! I have a hard time finding material that soaks up the scuzz, though. 100% cotton is super sweet and soft, but sometimes I feel like it’s not absorbent. I am on the hunt to find cheap mini terry cloth fabric to use – that should solve it! Plus, Trader Joes has awesome soothing hand sanitizer that doesn’t dry out your hands, so I just tote that with me everywhere and dose up – after pumping gas, shopping, and before eating or drinking. And I haven’t been sick in a long time. This post will probably jinx that. Oh, well. Nah, there’s no jinxing going on here. 🙂 I know what you’re saying about the absorbency of the cotton hankies. Let us know if you’re able to find a mini terry & if it works for you! The use of fabric softner will affect the absorbency of cotton so you shouldn’t use it on towels either. Flannel is great at absorbtion and sooooo soft. I’ve just made a huge batch of hankies from an old flannel sheet that had torn. Works a treat. I cut up old cotton T-shirts into hankies. They are really absorbent and so soft. If you just want some to keep in your bedroom to use during a bad cold (no sore nose from these), you don’t even have to hem them. My son started using a hanky when he was about four years old and staying with my dad one weekend. He came back not wanting to use tissues. I just got out his old burp cloths from when he was a baby, and we tie-dyed them fun colors. He’s eight now, and still using them!! That’s so cute Kara! That sounds like something my nephew would do. Great idea making them look fun by tie-dying. I don’t feel that your initial concerns were really addressed in this article, Betsy: ““What about a REALLY runny nose?” “What happens when it gets all filled up?” “Do you stick it back in your pocket all wet?” ” Those are all reasons why I’m averse to using hankies even though my dad has used them my whole life, and the article really didn’t convince me to that these were minor concerns or explain any remedies for them. Also thanks for your points about disposable tissues, Deb! The kindling idea is great! Lauren, I have been using handkerchiefs for at least three years. My nose used to run all the time, so I would use a dozen or more tissues per day. Now I pull out my hanky once or twice a day and that’s it. I think the fibers from the tissues, and the ensuing dust, go into the nose and cause more irritation than would exist otherwise. 1) If I get a really runny nose, I just use different parts of the hanky. They are much larger than tissues, and they do a better job of keeping the nose clean. 2) When it gets all filled up, I grab a clean one. If I am away from home, I use toilet paper. But it getting “filled up” doesn’t really happen. A hanky will last four days when I am well. When I am sick, I carry a spare. 3) I fold it so the damp part (it doesn’t really get wet as much as a paper tissue would) goes is sandwiched between dry parts. They do wash clean in the laundry with no issues. I certainly think that cloth handkerchiefs aren’t any more gross than cloth underwear. While I agree with Deb that those in the medical profession should stick to disposable everything, I do not think that is necessary for laymen. We should not overly limit our exposure to common germs, or we will lose our resistance. I agree! I grew up using hankies and my mother worked in the medical field.They seem to do a better job then tissues.Also not any worse than washing underwear or cloth diapers.If you have a cold you are still spreading germs no matter what you use.I am amazed at how many people go to work because they have to.Doctors use to tell us to stay home.Everyone should be washing their hands after blowing their noses !I was a lot healthier using hankies than using tissues.I get grossed out seeing a pile of used tissues sitting there on top of the garbage until it gets taken out.Then I start thinking about all the germs on hard surfaces there must be.A hankie would be handy just to cover a cough,which we should be doing or using to open public doors- a clean one! Keep your hands away from your face when out in public.I think shopping carts and public doors are the worse-everyone uses them. To disinfect you have to keep the surface wet for ten minutes and then rinse.Zinc seems to really work at shortening a cold. Love your site and articles. Nice to finally have something to share back. I only have one or two of the silk handkerchiefs and many of the cotton. I can throw the silk in with my fancy laundry, of which I still have some. The extreme luxury of having a silk handkerchief is not to be missed. I use cotton for most of the time. Don’t miss out of the dishtowels. They are hard to find elsewhere, for me anyway. I have given them as gifts to grateful recipients. 100% cotton feels so good on the skin. Keep up the good work. I have not had to use store-bought, well advertised, dishwasher soap for two years. Discovering that adding washing soda and borax to my laundry has improved it. I have been saying this for year. Hankies are so fun and bright and never get torn up in your pocket or purse. As the woman in the thrift store told me when I asked her about them and what they are used for she said ” For tears honey” with a little wink. I use mine manly for wipping the runny nose I get from allergies and leave the big jobs for paper tissues, when we are becoming a generation of people who use paper towels to open bathroom doors I think anything more then a slight blow is just to offensive to the general public. When it comes to colds I use lotioned tissues only, this means no redness and no germ filled hankies waiting for me to do the laundry and spreading germs in my house. Now if I ran out of them let me tell you I would grab my pile of hankies and use them with vigger. I say carry one with you and see where it goes, it will still get good use and be something fun to find in your purse just remember to change it out once it is used, even if only for tears. Cute story about the woman in the thrift store. 🙂 I like your thinking…I also encourage people to try carrying one and see how they like it. Maybe just for blotting fingers, wiping tears, or dabbing a drippy allergy nose. I do use cloth napkins, cloth hand towels (everyone has their own and I change them daily….pick them up at rummage sales), but cloth hankies I don’t use except for the quilt I made from them! I like the idea of using a hankie, but I just can’t get into it. I am fairly sure that I can get over the gross factor, but I can NOT get over the germ factor. How clean does the washer really get them and does it really kill germs? And are you spreading germs to other items in the laundry? I am refusing to use hankies until I can be assured they are sanitary. Think about the fact that germs come out of your pores when you are sick, I assume you don’t through away your clothes sheets and bed when you have a cold so no need to worry about the germs. 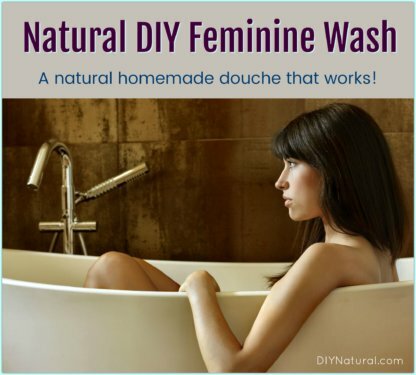 Maybe hand wash them in a sink of boiling hot water if it really bothers you. or get only white hankies and bleach them each use with the rest of your whites. Thanks for this Angie! I’m thinking the exact same thing if the germ factor bothers people. I don’t really worry about it…I can think of some things that end up in the laundry that are a lot more “germy” than a dirty hanky. I have some of those same vintage hankies! I have a box full of handkerchiefs that were my Grandmothers. I think they are so beautiful! I never quite knew what to do with them…but now I might just get them out and use them for what they were intended. Yes! I was tempted to just save these beautiful hankies, but it’s so much more fun to use them and be able to look at them all the time. 🙂 Let us know if you put yours to use and what you think of them! I may try, like you, to just use hankies when I am at home. Maybe not when I have a cold, but just for allergy-related dabbing. Similarly, we have totally eliminated paper napkins at our house. I had been buying various cloth napkins over the years for dinner parties I rarely have. When we decided to reduce paper/plastic use, I collected all our cloth napkins with various prints. I keep them in a hanging basket in the kitchen. It is quite an eclectic collection! Unless we have a really messy meal, we can use them more than once, then toss them in the wash with dish cloths, towels, etc. I haven’t bought paper napkins in two years. Yay! That’s awesome Elaine! Don’t you just love that you can take one more thing off your shopping list for good? 🙂 I’m glad you’re willing to give hankies a shot at home…see if it cuts down on the facial tissues you have to buy. My grandfather, too, was a hanky guy. My grandmother too. I have her old hankies that I was planning on putting in a quilt. Now you’ve got me thinking. If I can get passed the eeewww factor, I’m willing to give it a try. Thanks for this tip. Although I too remember lovely hankies and am very conscious of reducing paper use, as a nurse practitioner with years of infectious disease experience, I draw the line at using cloth hankies. Sanitation and containment of infectious organisms vs paper use is the issue here and evaluating the risk benefit ratio is important. In this case, the risk of using cloth that can spread disease far out weighs using paper tissues. The best way to prevent spread is to use paper tissues, dispose in a trash receptacle and wash/sanitize hands after every blow or wipe. I put my tissues in plain paper bags (saved from shopping trips), close the top and use them to start the wood stove. This solves 2 issues at once- sanitation AND reuse for fire starting. When I am sick, the paper bag and hand sanitizer are at my side. I have a little teaspoon full of Crisco or vegetable oil to spread on my nose after I blow (reduces irritation!). Keeping my germs as much to myself as possible, is really important to me. Thanks for your opinion Deb. I am also worried about the germ factor to this. I HATE germs. But I would really like to try this. 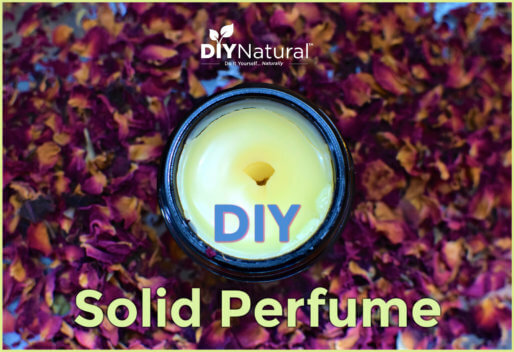 I am all about sustainable and money saving household products. So I was thinking maybe spraying it with alcohol before putting it back in your pocket? I’m wondering how effective this would be, does anyone have any ideas? I try to integrate sustainable practices throughout my life. I also like to keep harmful bacteria away from me and my family. I don’t use antibacterial soaps regularly(since overuse likely will leave bacteria that was resistant to it). I also don’t use hand sanitizers often (although I hear the type with just alcohol as the main ingredient will not create resistant bacteria, I haven’t looked into it yet) . The only way I would use a handkerchief would for single use before tossing it in the wash (they would probably all have to be white so that they could be disinfected with bleach). Perhaps soaking them in an alcohol bath before washing would do the trick too. 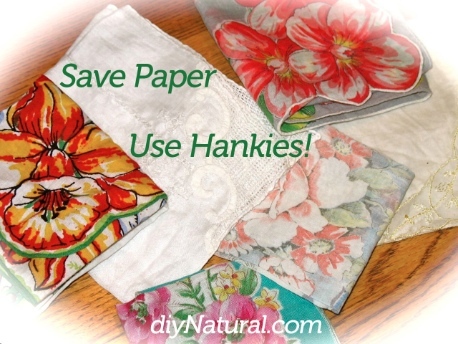 I’ve been a hanky user for over 20 years and I love them. I recently took a Safe Food Handling course and I learned that our noses and mouths have bacteria and at temps between 4c-60c, bacteria can double every 20 min. As a result of learning this, I use my hankies only once then put in laundry hamper for washing. I have dozen and dozens of them and this is not a problem unless I’m fighting a sinus problem and then I’ll be washing a load every other day. So I hear your concern for germs and I think we can use this info to influence how we use hankies. I’m totally hooked on hankies. 🙂 A month or so ago, I posted something just like this. Our family has been using hankies for a while now. I was shocked at the number of people that told me I was really gross. I’ve switched over entirely, too! I do keep a few tissues around in case I have a guest who needs one, but other than that I love my hankies! Less money, less garbage. I have a ton, mostly made from scrap material, and at the end of the day I throw them in the hamper and grab new ones as I need them. They take up no room in the wash machine, and I just hang them up to dry. Easy-peasy!